This morning I decided to make an improvement to my HQ16 to help me get better results for applying tension to the sides of a quilt. This could easily be adapted to other long arm machines or even domestic machines on a frame. 4) the Velcro tails provide no “give.” It made it pretty difficult to not over tension the sides of the quilt. 2) Loop one piece of elastic through the hole in the bag clip and stitch in place. I stitched all the way across then back stitched all the way back twice. 2) At the free end of the elastic I attached the full length (36”) of hook and loop. Just check your frame to see if you need the “hook” part or the “loop” part. I stitched a small rectangle and then an X through the middle. Make sure that before you do this step you take it over to your frame and double check to see which way you need to stitch the hook and loop. For my frame I had to stitch it facing down so that it will attach to the frame without twisting. 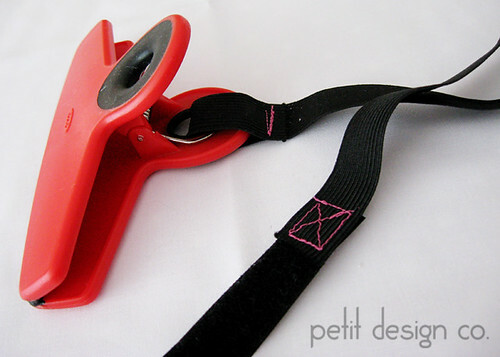 Also note that when you attach the clamp to the quilt you want the part with the elastic to face down. 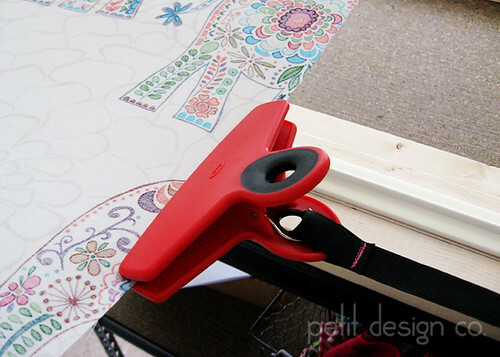 This will keep the clip flat and will keep it from bumping into your frame. I actually like 2 clamps per side of the quilt. I still need to make another set. I like the bag clips because they are 5.5” wide, easy to open, they have a rubber “grip” on the inside of the clamp and the lay relatively flat so they don’t bump into your machine. 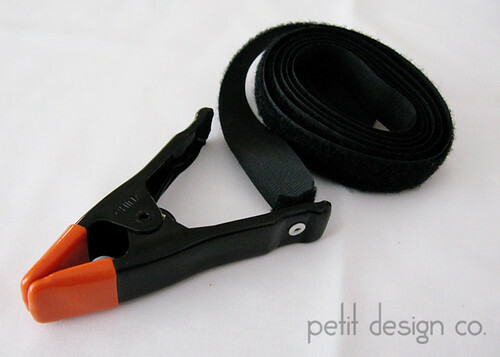 I like the clamps to have elastic because it just seems to give a little and keeps you from over tensioning and distorting your quilt backings. I’m working on a customer baby quilt, isn’t that fabric gorgeous? Great idea! 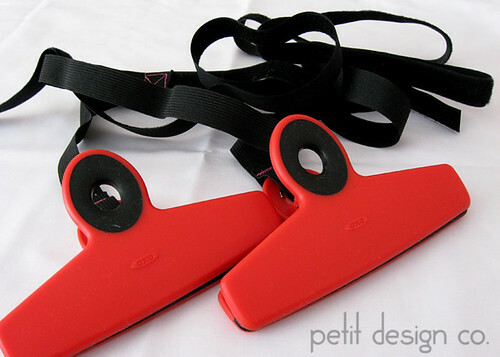 I just returned from Houston Quilt Show and purchased the Red Snappers for the top and bottom - NO MORE PINNING FOR ME, but I still had the pinchers on the side that are so hard to open and attach. Thank you for the idea. Thank you so much for pointing this out!! My clamps are similar to your old ones!! Yup...I will be replacing them with these or something similar!! THANK YOU...this is Brilliant! !